Shillong, May 20 : Though there are only few schools in the northeast region affiliated to the Council for Indian School Certificate Examination (CISCE), students from NE have fared well in both Class X and XII board examinations. 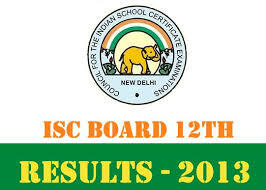 The results of Indian Certificate of Secondary Education (ICSE) and Indian School Certificate Exam (ISC), conducted by the CISCE were declared on Friday. Sanskriti the Gurukul, the only ICSE-affiliated school in the city, recorded 100 per cent pass percentage. Founder secretary of the school, Ashutosh Aggarwal said, "In Class X, a total of 38 students appeared and all of them fared brilliantly. Nishant Barua, who scored 94.6%, is our topper." About 32% students achieved an average of above 90%, 42% between 80 to 90% and 26% between 70 and 80%, he added. Aggarwal said, "A total of 32 students appeared for the ISC examinations and all of them passed. Nishant Sogani topped with 93.75%." The principal of the school, Radha Barua, said they were extremely happy with the results and after a long time the boys did fairly well than girls. The students of Assam Valley School in Tezpur have also done well in both ICSE and ISC examinations. Headmaster of D N A Mountford School said, "A total of 118 candidates appeared for in Class X exams and 85 candidates appeared in Class XII exams and all of them passed. Ananya Hazarika is our topper in class XII humanities stream with 98.25%. Padma Todi topped commerce stream with 97.5% and Shakti Yambem is our topper in science stream with 93.5%." Jorhat's Carmel School also recorded 100% pass percentage in the Class X and XII results. Principal of Jorhat Carmel School, Sister Monica said, "Eighty-eight students appeared for ICSE examinations and 87 got first division while one got second division. Moreover, 20 students have got above 90% marks, including highest percentage holder Bikramjyoti Bora. Bora got 95% marks." "In ISC, 13 students - two in arts, four in science and seven in commerce stream - appeared from our school and all have passed." In Shillong, pupils who appeared for the ICSE this year from different schools recorded grand success with Loreto Convent, Pine Mount School and the Meghalaya Police Public School recording 100% pass percentage, while St Edmund's School recorded a success rate of 84.04%. Shillong Public School and Meghalaya Police Public School, both co-ed institutions, recorded a pass percentage of 93 and 100 respectively. Loreto Convent had 85 examinees, Pine Mount had 103, and St Edmund's 133. Meghalee Bose of Loreto Convent secured 97% (best of five), while Shawli Deb of Pine Mount secured 91.8%. Naved Nagi of St Edmund's School secured 95% in the examination. Shillong Public School had sent 12 students, out of whom Melampynshai Nongrum, with 90% emerged the topper. Meghalaya Public School saw all its 44 examinees sailing through in the examination. Pine Mount secured a 100% success rate in the ISC examinations in the arts and science streams. In the arts stream, Betty Lalrinseli topped the school list with 94.75%. Ribhalina Lyngdoh Pale and Phibakor Wanshnong, with 81% each, topped the science stream. Hey, thanks for sharing the details. Kerala SSLC Result 2015, ICSE Result 2015.